Alexander Hamilton's Papers Now Online At The Library Of Congress For fans of Hamilton and history alike, the Library of Congress has put the hippest founding father online by digitizing Alexander Hamilton's papers and making them available on the library's website. 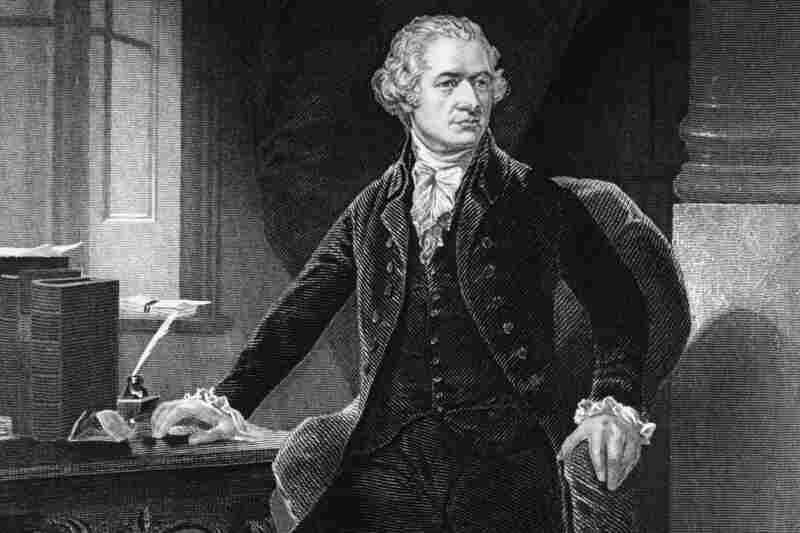 The Library of Congress is home to The Alexander Hamilton Papers — a collection of 12,000 items. You can view the documents online. An early letter, written when Hamilton was 12 years old — note the curlicued signature, and the fine handwriting honed at his clerking job. 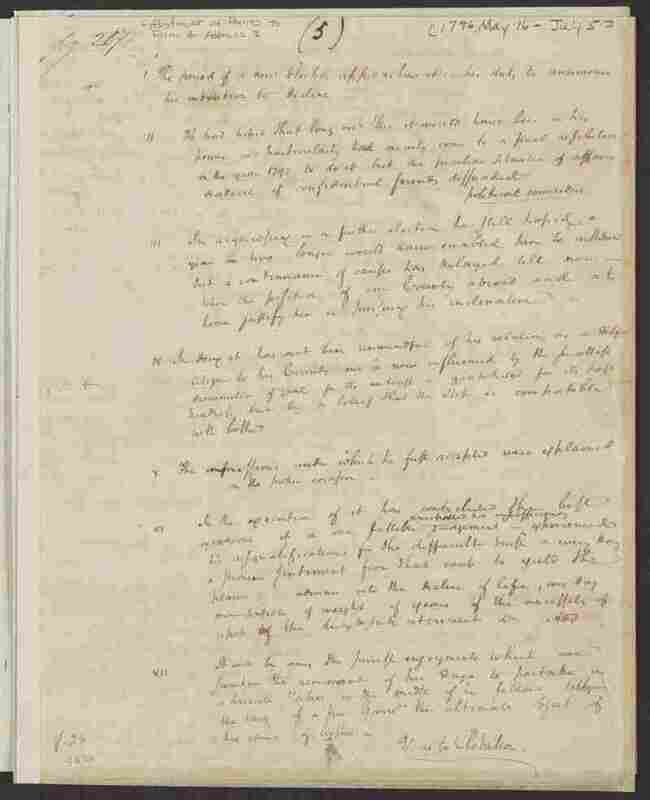 Hamilton's notes for a draft of George Washington's farewell address, 1796. Hamilton's last letter to his wife, Eliza, 1804. Fans of the musical may recognize the phrase "best of women." If you've seen the hit musical Hamilton — or even if you've only heard about it — you might want to know more about the founding father who was the United States' first Secretary of the Treasury. And if so, the Library of Congress just made it easier to go right to the source. Before, if you wanted to see — for example — Alexander Hamilton's letters to his wife, you had to travel to the Library of Congress in Washington, D.C., and even then, you'd have to view them on microfilm. Now, Julie Miller, the library's curator of early American manuscripts, says the collection has been digitized. "The web site is meant to open these up to a much broader public," she tells me — and given the increased interest in Hamilton, the timing is no accident. "We're going to start with something very, very early," Miller says. "This is actually a famous letter." In the letter, written when Hamilton was 12 years old, he expresses his desire for what he calls a larger life. "He has fantastically good handwriting," she says, "because he was a clerk in a trader's office on the docks in St. Croix, and part of being a clerk was learning how to write like that." Hamilton signs off with a youthful flourish, a signature that ends in a series of curlicues. Bill Kellum, of the library's web division, says it's that kind of detail that makes the digital collection so fascinating. "When you take the papers or the archives of a person and put them online, you get to see all of the things that are not famous, whether it's their receipts, or their letters, or it's correspondence that previous experts have thought unimportant, you get to see those ... it really kind of humanizes a person." 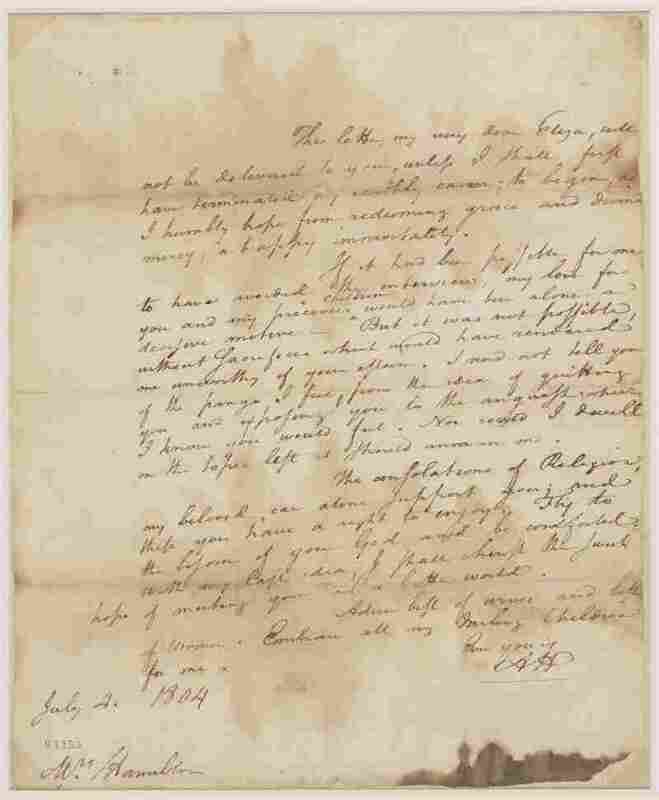 One of the most moving documents in the collection is a letter written by Hamilton to his wife Eliza, the night before his duel with Aaron Burr. Miller reads a bit of it for me: "It says, 'This letter will not be delivered to you unless I shall first have terminated my earthly career' ... And then he says, 'With my last idea, I shall cherish the sweet hope of meeting you in a better world.' And I think this is what people know from the play: 'Adieu, best of wives and best of women, embrace all my darling children for me.' And that was the end of Alexander Hamilton." 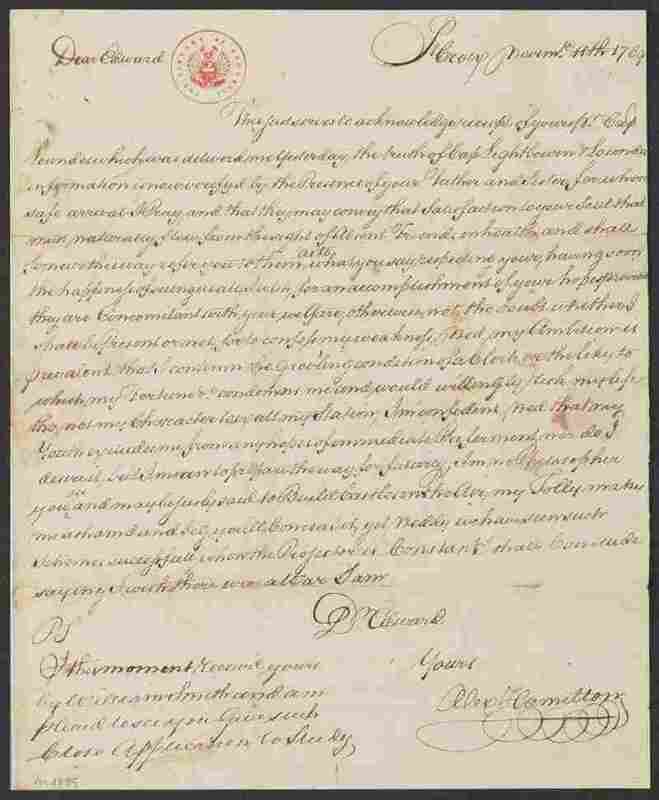 You can now see that letter — and thousands of other documents from the Hamilton collection — on the Library of Congress web site. This story was produced and edited for radio by Tom Cole and Andrew Limbong. Petra Mayer adapted it for the web. In the audio version of this story, as in a previous Web version, the number of Hamilton documents digitized by the Library of Congress is reported to be almost 900. In fact, there are approximately 12,000 documents — arranged into almost 900 groups.